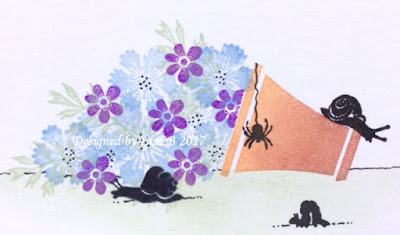 Now I have to apologise as it has been quite a while since I last blogged but with my holiday, my niece's wedding in late July and Kirsten and I really busy planning and making samples for new classes and workshops things have kept me a little bit busy to say the least!!! So today I thought that I would show you the actual class samples that the Card-io Stamps Class was based on last Friday. For the first one, I kept it simple as there were new ladies that had never used Card-io Stamps before and then we got more involved with the second card. 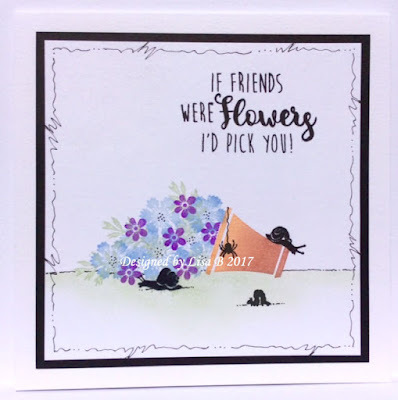 This was the other choice for the first card. 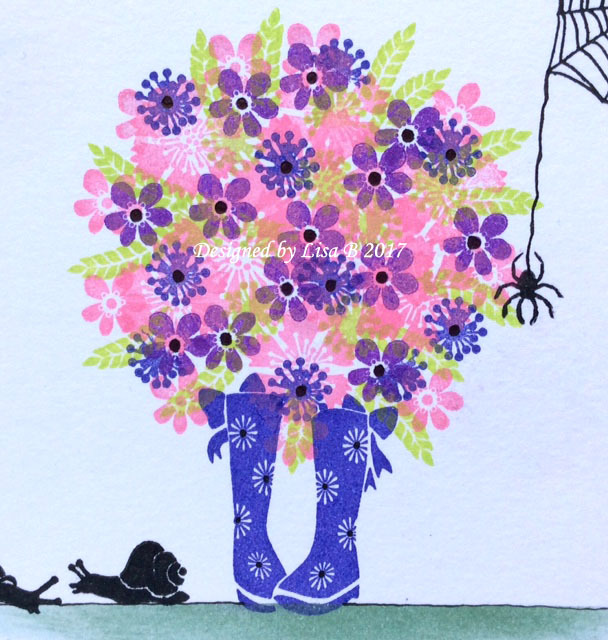 A little closer look at those lovely wellies! 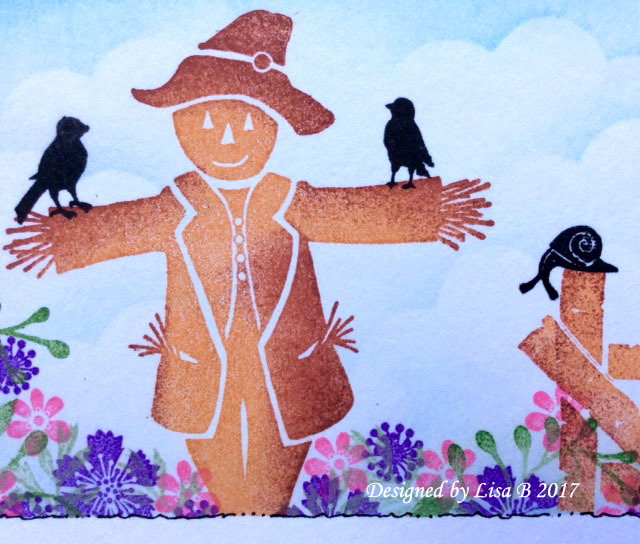 He really is a lovely scarecrow but not very good at his job! 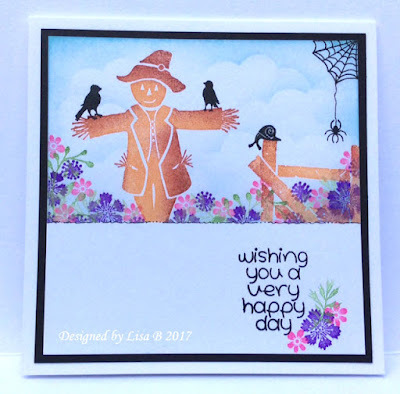 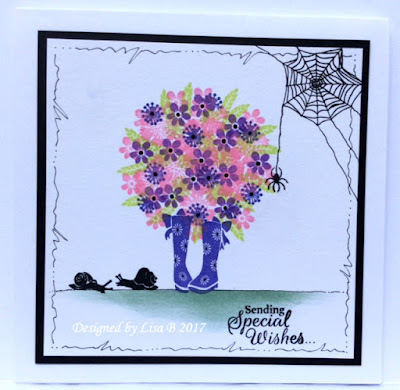 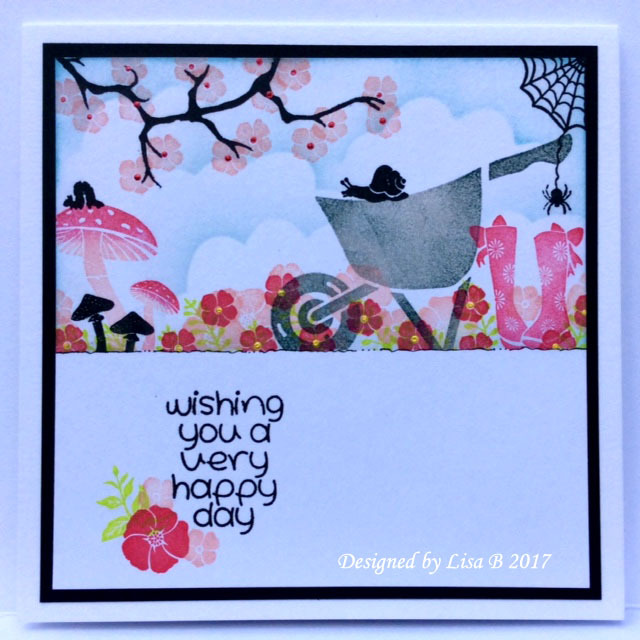 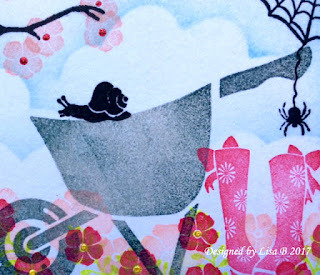 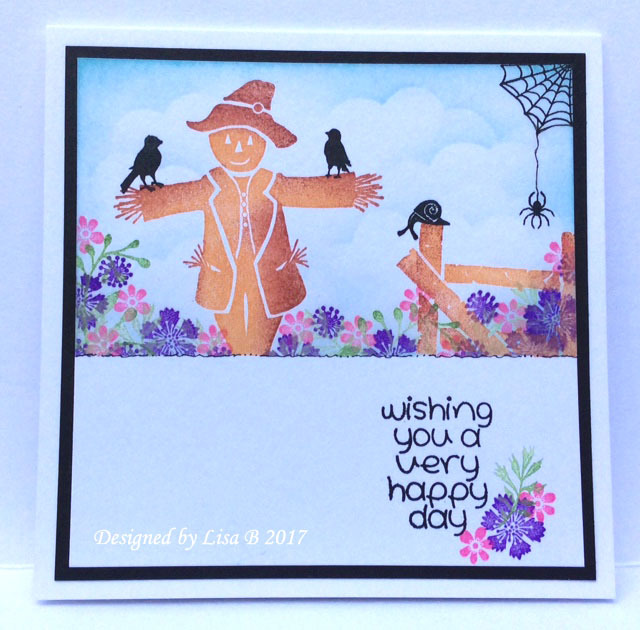 Well I do hope that you have enjoyed having a peruse at the class cards and I will be back next week with some more samples that I made for the class using Card-io Stamps.